Autism Berkshire is launching new social groups for autistic adults in Slough as part of the SPACE (Slough Prevention Alliance Community Engagement) scheme. SPACE brings together more than 40 local charities and organisations, led by Slough Council for Voluntary Services, to provide residents of the Borough of Slough with information and advice about all aspects of daily living. 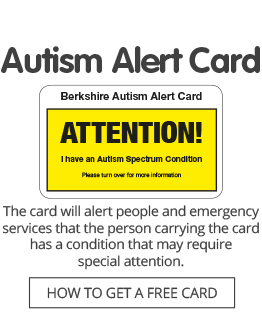 Autism Berkshire is providing autism-specific advice and support services as part of the SPACE project. We now have a job vacancy for a part-time support worker to assist the social group’s co-ordinator with the running of its meetings, which will take place fortnightly on Tuesday evenings at a pub in Cippenham. The successful applicant for the post will also be expected to assist with the running of a new monthly support group for autistic women in Slough that we are forming. We are looking for someone with good knowledge and understanding of autism, experience of working in a support role in an education, health or social care setting, preferably with adults, and a commitment to helping autistic people and their families. This post is offered on a fixed-term contract basis at a rate of £9.24 per hour, initially until December 31, 2019, to cover three 3-hour sessions of the groups each month. There is the possibility of renewal, subject to future funding being secured. We encourage informal visits to our office, prior to application, to discuss the role. If you are interested in taking up this offer, please email our chief executive officer, Jane Stanford-Beale, at ceo@autismberkshire.org.uk or call 01189 594 594. Applications will close at noon on Friday, May 10. Interviews are expected to be held in the week starting Monday, May 13.